Offering you a complete choice of products which include auger filling machine with online weigher, bag feeding packaging machine, batch type oil fryer, low and high viscous product packing machine, powder vertical packing machine and vertical form fill seal machine. 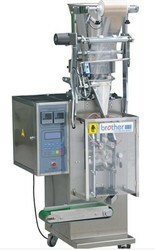 This model is designed mainly for the fine powder which easily to spout dust and high-accuracy packing requirement. 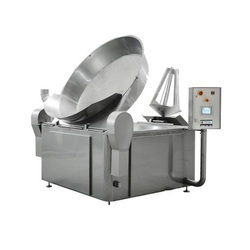 Based on the feedback sign given by below weight sensor, this machine does measuring, two-filling, and up-down work etc. 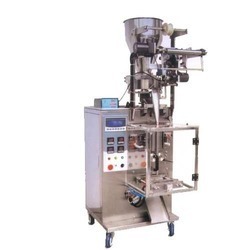 It is especially suitable for filling additives, carbon powder, dry powder of fire extinguisher, and other fine powder which needs high packing accuracy. 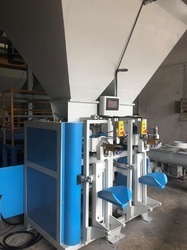 The weight sensor is below the tray, to do fast filling and slow filling based on the pre-set weight, to guarantee the high packaging accuracy. Servo motor does up-down work driving with tray together, the up-down rate can be set randomly, no dust spouts out when filling. With servo motor and servo drive controlled auger, perform stable, and with high accuracy. PLC control, touch screen display, easy to operate. 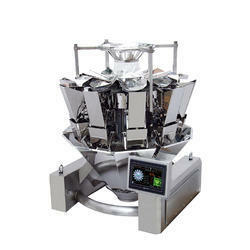 Made of stainless steel, combined hopper, easily to be cleaned. With handwheel to adjust the height, easy to fill many kinds of weight. With fixed screw installation, the material quality won’t be affected. 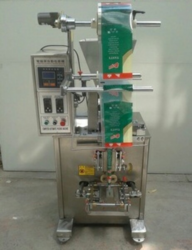 Bag Feeding Packaging Machine is the single-station bag feed fully automatic packaging unit and can independently complete such works as bag feed, bag opening, filling, dust extraction, heat sealing, cold sealing and output of finished products, etc. It is suitable for packaging of bulk material which requires high metering accuracy and is easy to break, its operation is convenient, it is equipped with self-check function, the loss of packaging material is low, space requirement is small and duplex or triplex unit can be customized. The packaging bag has wide range of adaptation. Fully automatic operation realizes product packaging streamline operation, improves production efficiency of the enterprise and greatly reduce product cost. The complete machine is made of stainless steel, guaranteeing hygiene and safety. Suitable form of bag: four-side-sealed bag, three-side-sealed bag, handbag, zipper bag, plastic bag with cover, M-shaped bag, paper-plastic bag etc. Suitable material: materials like liquid, sauce, granules, powder, material of irregular shape etc. Material of the packaging bag: preformed bag and paper-plastic bag etc. made of multiply composite film. Floor Space 45" x 45"
We have a highly dedicated and experienced team of professionals and high-tech infrastructure that enable us to manufacture and export a large collection of Potato Chips Batch Fryer. Fabricated using quality materials, our collection is very easy to operate and safe. Available in different sizes and shapes, these are widely used for Potato Chips, Banana Chips and other low bulk density products such as salt snacks and Indian sweets. Motor blower ½ hp motor 2800 RPM 3 phase. This machine is widely used to pack liquids of low and high viscosity such as pure water¿¿¿milk juice¿¿¿beverages¿¿¿soy sauce¿¿¿vinegar and wine. It can automatically sterilize the film with violet ray¿¿¿form the bag¿¿¿print the code precisely fill the product and seal & cut at one time. It used as single lay PE file and coextrusion film. PLC computer system, the function is more stable, adjustment any parameters do not need to stop the machine. It can stock ten dispose of, simple to change variety. Sever motor drawing film, position accurately. Temperature independent control system, precision get to±1¿¿¿. 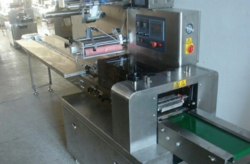 Bagmaking , sealing, packing, print date in one operation. The machine adopts servo motor control, screw measuring, precision± 1%. Adjustment product weight without any tools. Application: Suitable packing powder: milk powder, bean powder etc. 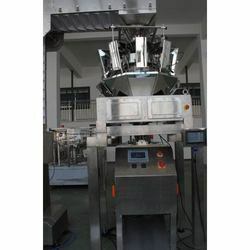 High performance and reliable with intermittent or reciprocating continuously motion Vertical Form Fill And Seal (VFFS) Machine Designed for forming bag from film, Filling it by synchronized dosing system, sealing it and outputting. VFJ series is able to make pillow bag, gusseted bag, flat-bottom bag, quad seal bag, vacuum bag, vent valve bag and M shape guesset bag. We are offering Heavy Bag Packing Machine. Reciprocating continuously motion design for small packages make pillow bag, gusset, flat bottom Or 3-side sealing. 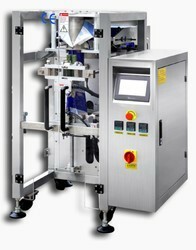 PVG-LCK type Quantitative Packing Machine is a complete set of system which includes weighting and packing. It is used for flour and other powder packing. 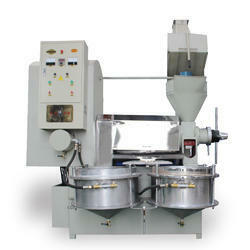 It can ensure the feeding speed and feeding accuracy. This is a hopper scale, the bag itself is a scale. It can overcome the buffer hopper problem, to ensure the measurement accuracy of the filling material. Using Chinese LCD controller to overcome the inverter noise sound interference on the impact of the controller, also it is convenient for users to operate the machine. This adopts automatic thread trimmer device, thus the operator does not need to step on the pedal, even though it has the manual switch. 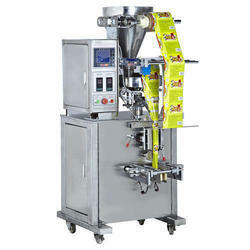 For Potato chips, Biscuits, Pasta, Nuts, Beans, Popcorn, Cereals, Extruded Snacks, Confectionery, Dried & Frozen fruit, Pills, Electronics, Hardware, Toys Integrated packaging system, including Z shape bucket loading conveyor with vibratory feeder, weigher platform with stair unit, Multi-head weighing system, automatic bag making machine and accessories units. 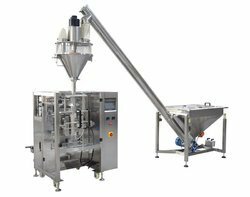 DXDL series are suitable for automatic packing of paste of foods¿¿¿medicine and chemical such as pesticide¿¿¿shampoo¿¿¿and body foam bath lotion¿¿¿facial cream¿¿¿intendment oil¿¿¿fruit Sauce¿¿¿tomato ketchup and honey etc. Control system with¿¿¿English display screen¿¿¿stainless steel body¿¿¿after the parameters (filling amount and length of bag)are set at the display setting unit¿¿¿the control system will automatically optimize and match the actions¿¿¿thus achieving best packing speed, Reliable and stable dual Light source photoelectric check detective system¿¿¿assuring complete logo of the packing bags¿¿¿Controlled by intelligent temperature controller¿¿¿automatic measuring¿¿¿bag making¿¿¿filling¿¿¿sealing¿¿¿marking¿¿¿cutting and counting. 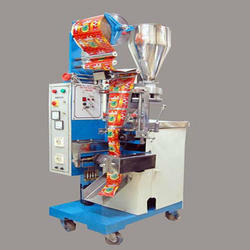 We are offering Spice Packing Machine.